MATT BARBET IS A JOURNALIST AND NEWS READER SPECIALISING IN CURRENT AFFAIRS AND SPORT. Matt was an anchor for Channel 5 News for over a decade. He has previously presented News Hour (BBC World Service), Breakfast, BBC London News (BBC 1), The Cycle Show (ITV 4), Daybreak (ITV1) and The Victoria Derbyshire Show (BBC 2). Matt also currently hosts the news for Premier League Productions and regularly sits in on The Wright Stuff (Channel 5). Matt is experienced both in the studio and in the field reporting from Afghanistan, Haiti and Ethiopia. He has covered The Oscars twice and fronted Channel 5’s live coverage of the royal wedding of Prince Willian and Catherine Middleton at Buckingham Palace. 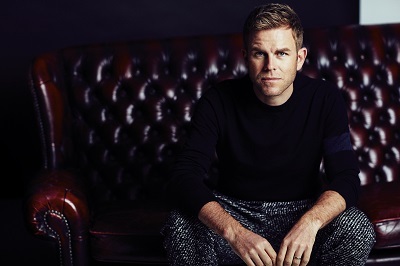 Equally adept on radio, Matt is known to millions from his time reading the news on BBC Radio 1 during Sara Cox’s Breakfast Show and has presented Weekend Breakfast (BBC Radio 5 Live). He has also presented The Briefing on ground breaking online station Monocle 24. Matt has written for The Independent, Monocle, The Express, Cycling Plus and Bikes Etc. He has pedalled his way to completing the gruelling L’Étape du Tour in the French Alps, a 700km journey from Girona to Cannes for cycling charity Club Peloton and has also completed the London Marathon twice. Matt lives in London with his wife Katie and their daughters Manon and Blythe. In 2018 he was appointed a Director at Freuds. The Cycle Show, Tour of Britain, British Cycling National Championships, columnist for Bikes Etc.